I did the sketch above while living in India. 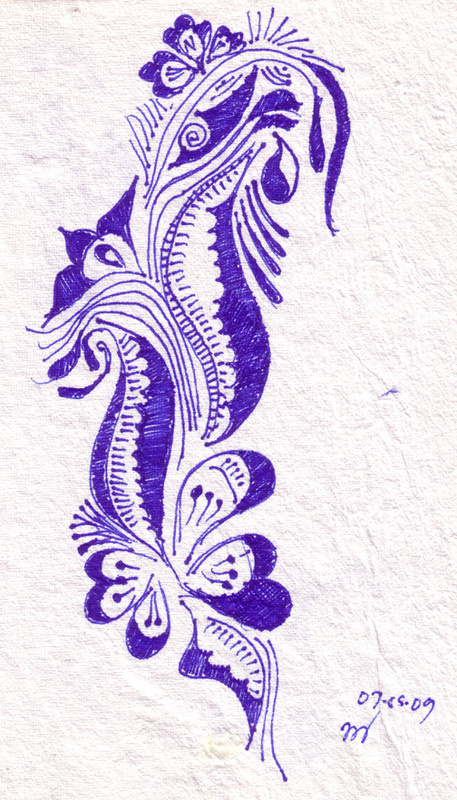 I am fascinated with mehndi and my friend, a mehndi artist, mentored me in the artform. The sketch above was one of his many assignments for me…so that my hands understood the craft and techniques. Thanks again Mishal. In his interview with Jon, Anand spoke of India and its “cultural upheaval, as a new generation has sought to reconcile old traditions and customs with new ambitions and dreams.” Jon asked him about the success and growth of India (China included), and he attributed their success largely because to their “culture of hope and creation,” and that stuck with me. He was absolutely right! I have lived in the Caribbean, the US and India; India has by far been my most creative and innovative experience. This was so because of what Anand spoke of, that culture of creation…all of us wanting to create, do, and be better. We didn’t care whose idea it was, all we cared about was perfecting it. I was among people – now my family – who shared knowledge and information freely. 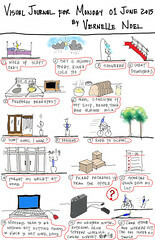 I have mentioned these people before (Share, Create, Ideate blog post). I will always be an advocate for sharing knowledge because I have seen the awful effects of living by the old method of hoarding knowledge – mistrust, little or no innovation, little or no collaboration, and so much more. I am an architect but learned from and shared with my friends who are product and industrial designers, business, and marketing gurus. They opened their worlds to me and as a result I entered the realm of product design and business, and marketing. I enter and even won a product design competition (Ecotopia) with my friend Gijsbert. I shared knowledge and vice versa. We are all better today at what we do by the mere fact that we all truly love what we do and are able to see the BIG picture…that without sharing with each other, and learning from each other, our innovations would be much less than they could be. What kind of culture are you fostering? What kind of culture are you part of? Hoarding information and knowledge today is a waste of energy and time. Your time would be better spent sharing and collaborating…THAT sparks creative energy and invention. Start that culture of hope and creation today in your home, class, country, region, and society. The future depends on it. 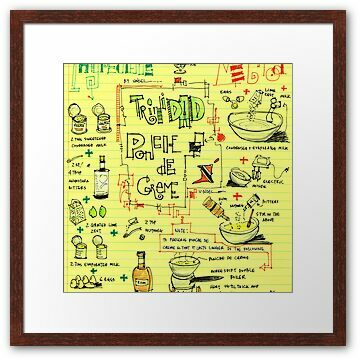 If you see the BIG picture and practice knowledge sharing, don’t hesitate to drop me an email. I look forward to hearing from you. Remember to subscribe to Thinking Insomniac, and SHARE with your friends. Note: Confirm the subscription by clicking on the link in the confirmation email received. Blackberries and bbm-ing are all over the place. The latest trend, gadget or equipment doesn’t make you important. The meaningful work and things you do everyday to change the world, innovate, or help another human being or animal makes you important. Why constantly keep your head down staring into a tiny screen of letters…when you can keep your heap UP and experience the important things on the larger screen of life. I know of persons who have blackberries, but are barely able to get by…and I know of others who own successful companies yet do not want a blackberry. Gadgets can facilitate work, and they can also distract us from the more important things. 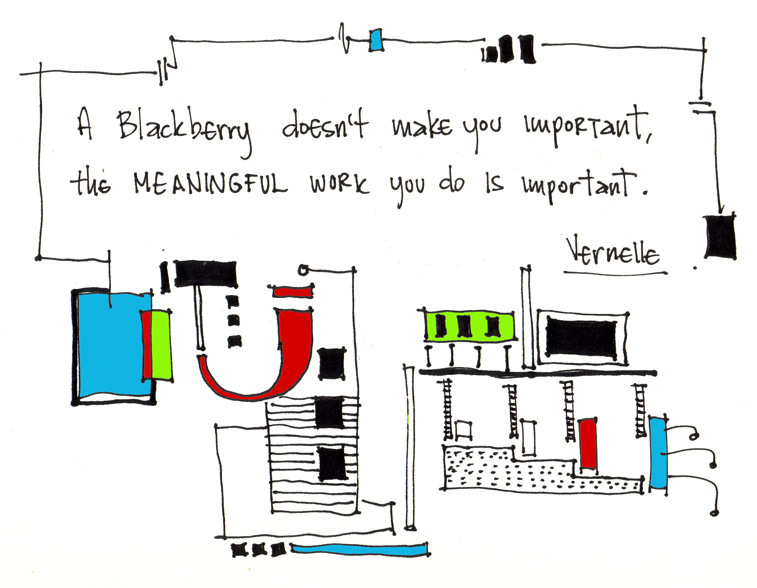 Attach importance to meaningful work, innovation, and inspiration…make a Blackberry want you. I created this 2011 Illustrations Calendar. This is the cover for the calendar shown above, click to download the entire calendar. Download and share as much as you like! 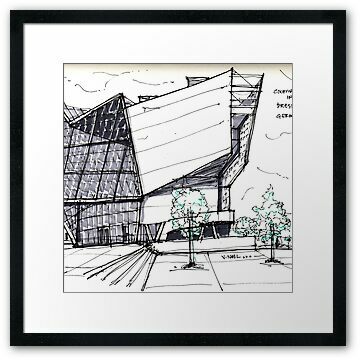 I created this 2011 Architecture & Urban Sketches Calendar. The cover for the calendar shown above, click to download the entire calendar. Download and share as much as you like! My post today deals with the sharing of knowledge. 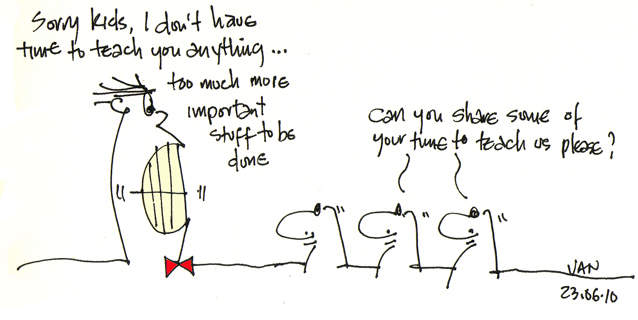 Are you a sharer or a hoarder of knowledge? In one of my previous posts “Share, Create, Ideate, and Be Positive”, I mentioned some knowledge sharers I have the privilege of knowing. In that post, I spoke of the importance and value of sharing. I also wondered what you do when your environment contains a majority who do not share. If you had to place yourself in the above chart…where would you fall? Where would you say your company, city, region, or country falls? Some are against the sharing information for fear of it being copied, or used against them. Others seem to think, “I didn’t have help, so why should I help you…figure it out like I did.” Is your usual response to someone asking you for information, “I don’t know,” when you do know? The point is to offer solutions to the world and help those who need it. Pass on good news to others, they may benefit from it. Stop being the Ebenezer Scrooge of knowledge and information. The more people know, the more they want to know, the more inquisitive they are, the more informed they are, the more they are likely to trade information with those who share. One of my favorite writers, Seth Godin, in his blog post today talks about making customers smarter and spreading information. Have a read, and begin sharing knowledge with your customers, family, friends, etc, you will see the difference it can make in your life, and someone else’s. Read another one of my favorite writers, Tom Peters brief post “Little BIG Things – Ways to Pursue Excellence #167: Become a Student of “Helping.” Become a “Professional” Helper.” Hope you see the big picture…help others, in all you do make your goal be to help others. Fellow architects, designers, artists, bloggers, writers, share your knowledge and experience with others. "Sorry...no time to share knowledge"
I write this post today due to my past and present experiences. I’ve been privileged to be in the company of ideators, and thinkers who share knowledge, who hold nothing back. Boy have I been lucky! The first person who impressed this upon me was one of the best architects (my favorite Caribbean architect), Colin Laird. I would go to his office and read, make models, draw, etc. I would go to his office everyday and just DO, and learn. He would pay me (which I never asked for), but was still grateful for. All I wanted from him was knowledge…boy did I admire him, and I still do. He is one of the greatest humans I have ever met. I have known Colin now for more than 13 years and he has been there for me, and continues to share his knowledge with me. That is greatness! That is his legacy, and I will always share and tell the world what a giving man Colin Laird is. Another great sharer is Bob Massa, of whom I have spoken of previously. Bob is a fascinating man! He has an amazing sense for business, strategies, and runs an extremely successful SEO business. He is the Searchking! He shares his stories, experiences, and knowledge with me. He welcomed me to the world of online business, strategies, knowing your product and your market. Bob and I would sit and chat for hours at night into the next morning discussing ideas, and strategies. I look forward to those days again. His creative mind, his positive thinking, and great ideas are infectious. He is a teacher (although he will deny it). Another sharer is Gijsbert Koren, an industrial designer. Gijs and I would stay up for hours researching, thinking and talking about ideas, looking at cool designs, just poring over the internet, books, we could go on forever! I mentioned him before here. Alex Muspratt-Williams is my other sharer. He is a product designer with a wealth of experience. He has worked with IKEA, Motorola, and Ross Lovegrove on his famous organic bottle for Ty Nant Water to name a few. He now works at Tupperware. Alex, Gijs and I talked a lot about design, our experiences, and we had each others’ backs. We all encouraged each other. My constant idea exchanges with Alex and Gijs spurned my appreciation and love of product design. In fact, Gijs and I entered a competition together and we were one of the winning teams. Devesh Dodeja is another creator, ideator, and sharer who inspired me. The long talks, the crazy ideas, massaging them, the late night pow wows with him and Bob, which went straight into breakfast at the Grand Bhagwati. Thanks for being that kind of person Devesh. Great times! That’s how you get better, by surrounding yourself with those better, and smarter than you are. However, what do you do when you are in an environment where those better or “smarter” than yourself do not want to share their knowledge and information? I am trying to figure that out. That deep pool of creative people who loved to share changed me. It infected me. We are not all in the same geographic location anymore, so those late nights talking are no more. What does one do in an environment where those around them are not forth-coming with information? 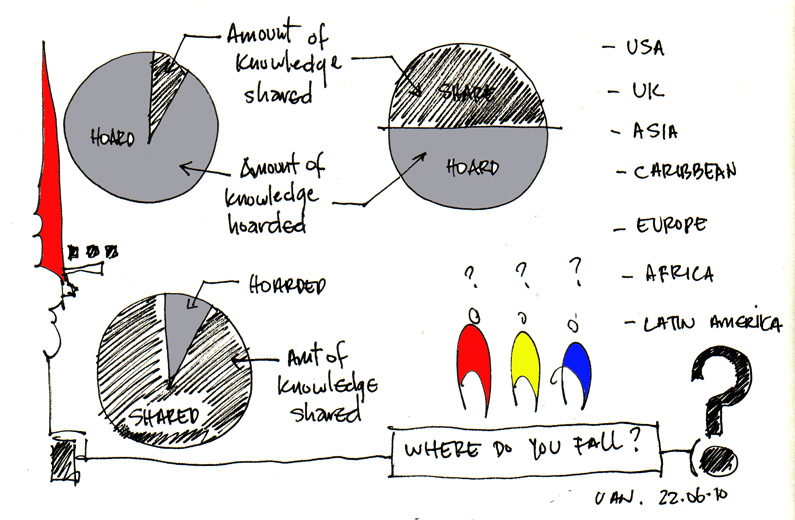 Where people hoard knowledge, and choose to not share? What does one do? Can anyone out there tell me? I really do not know what to do. I will always share with others, especially those who will do the same and share. I stand on the shoulders of those giants who shared with me. I have had that privilege and sharing knowledge is a powerful thing. Colin, Bob, Gijsbert, Devesh and Alex (to name a few), keep up the great work. Don’t stop sharing, you all have taught me the value of teaching and just sharing ideas. I want to urge everyone, don’t be selfish with your ideas, because someday someone will think of it. Mies van der Rohe adopted the motto “Less is More” to describe designs being reduced to its necessary elements, its essentials, its most fundamental features. This came to my mind during my read of JP Rangaswami’s blog, confused of Calcutta. In his post he mentions “filters” in the information we share with others. 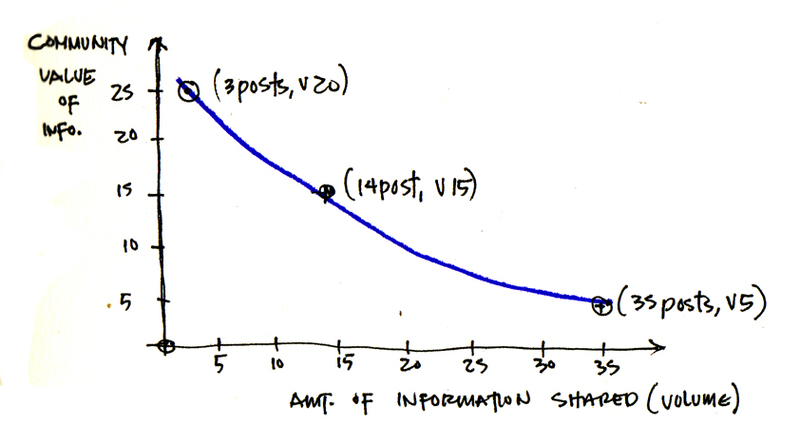 Is the information (designs, tweets, posts) we share with others of value? Value is relative and can be informational, social, emotional, psychological, technical, economic, humorous, and so much more. There are bloggers and tweeters I pay particular attention to because their information value is very high. Which means, when they speak (tweet, post), I listen. One of my closest friends Bob Massa never just “makes a post”. It takes him quite a while to compose a blog post, letter, even email reply. Why? Because he always makes sure what he says is EXACTLY what he wants to say in just the right amount of words. He believes in editing, editing, and when you think you are finished, editing some more. He believes in less is more. In everything you do, try to always give a high value to volume ratio. As an architect and designer, I have seen many designs, both real and imagined that are filled with “fluff,” unnecessary elements and attachments that in no way strengthens the concept. Those elements and words become “noise.” High volume tweets (noise) does not mean high value information. Let’s strive to create work based on honesty and integrity, enriching persons along the way. I thank JP, Bob, and the many others who give information of a high value. I am always able to learn, laugh, and be informed. You are more than welcome to share my cartoons with your friends and post a comment!